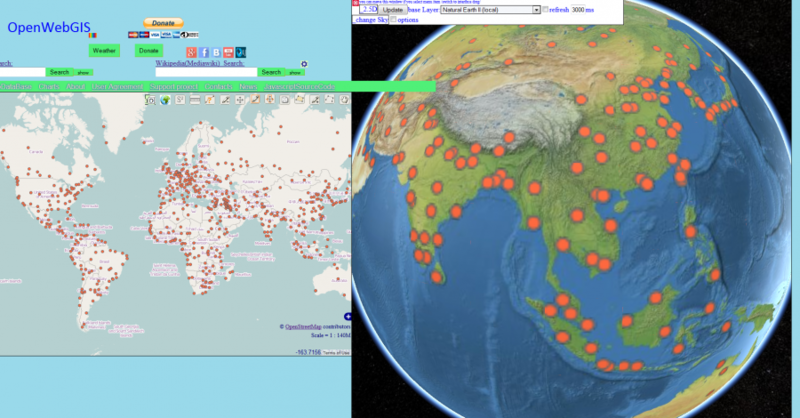 OpenWebGIS: Changing the sky (background) around the Earth in 3D View. 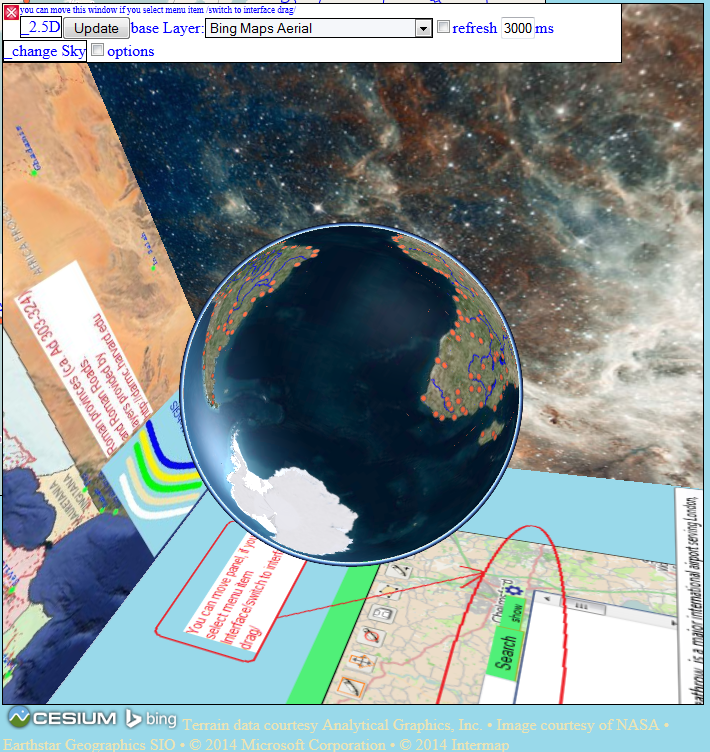 This function of OpenWebGIS can be useful for creating remarkable presentations in which the Earth Globe is applied. 1. In order to open the 3D map you must first click on the button in the upper right corner of the map. This button has the title "Add 3d Map. Globe ". There will be a pop-up window in which you can set the desired options. 2. 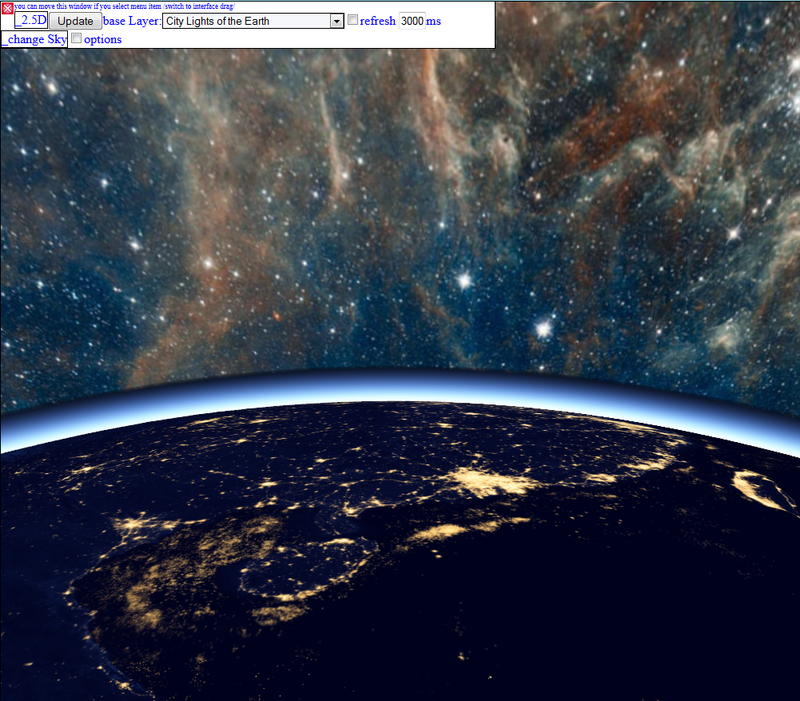 Click button OK in pop-up window with 3D options and you will get View of Earth. In 3D map base layer “Natural Earth II” was selected. 4. In order to show major cities population on the Globe in 3D, activate the layer "Cities" in the list of layers on the left of the map. Then select options of the 3D map as shown in Figure 3a and press the button “Update”. You will get the view as shown in Figure 3a and Figure 3b. 5. Click the sign “_change Sky” in order to get the setting options of the Sky (background). Select the Image object for each of the six cube (sky box) map faces. 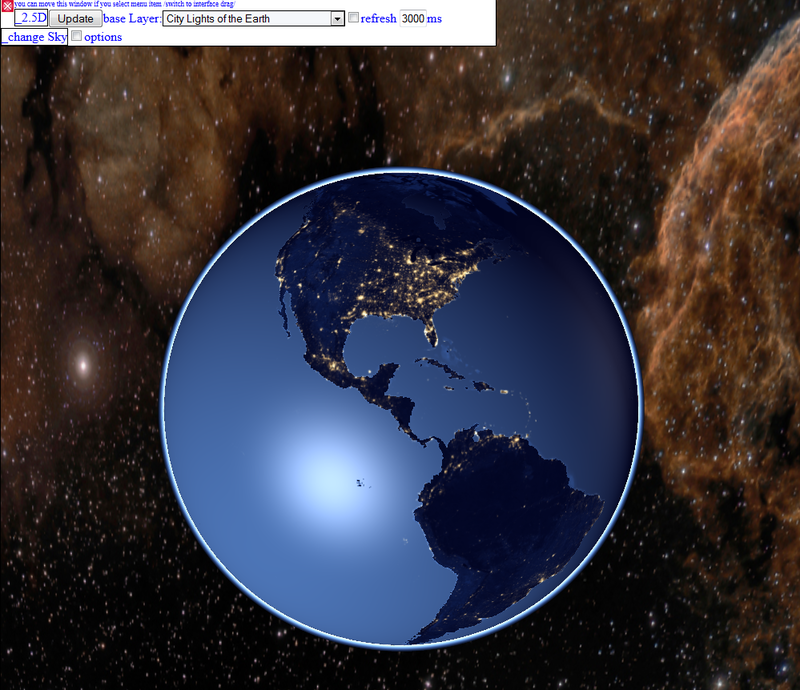 A sky box around the Globe is used to draw stars or other objects. The sky box is defined using the True Equator Mean Equinox (TEME) axes. This is only supported in 3D. The sky box is faded out when morphing to 2D or Columbus view. Set the options as shown in Figure 4. Stars and Dust Pillars in NGC 7822 from WISE.